A glance at this year’s SXSW schedule and “Slashathon” might sound like an all-night 80s horror flick screening. In reality, the title is fairly literal: rock guitarist Slash is hosting an artist-focused hackathon on Wednesday with the hopes of drawing in crowds at the perfect mid-point between SXSW’s Interactive and Music sessions. A fan of Spotify and Pandora, the guitarist says music streaming apps are great for artists to both discover new music and share with fans, and he hopes to see more apps devoted to helping artists gain exposure. While he doesn’t intend for the Slashathon to necessarily “solve” problems — as most startups tend to focus on — he would like to see music discovery become more catered to recording artists, not just consumers. “I’d like to see the trend continue on apps that help artists get the word out about their new records and local shows,” he says. 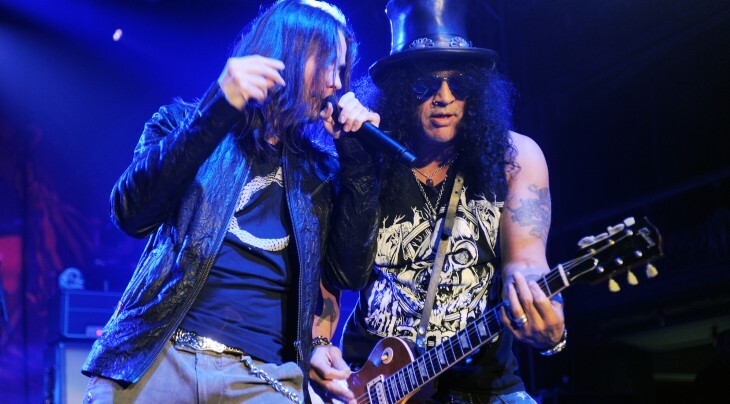 It’s not surprising that a musician like Slash is keen on discovering new music. Thanks to Guitar Hero’s repopularization of “Sweet Child O’ Mine,” it’s hard to escape a dive bar or commercial without the familiar rock rhythms, even for Slash himself. Just as our interview began, he said the song was playing from a TV in the room. “Funny you mention it!” he says. But of course, he’s grateful for the multi-generational love that’s passed along, decades after the song emerged. 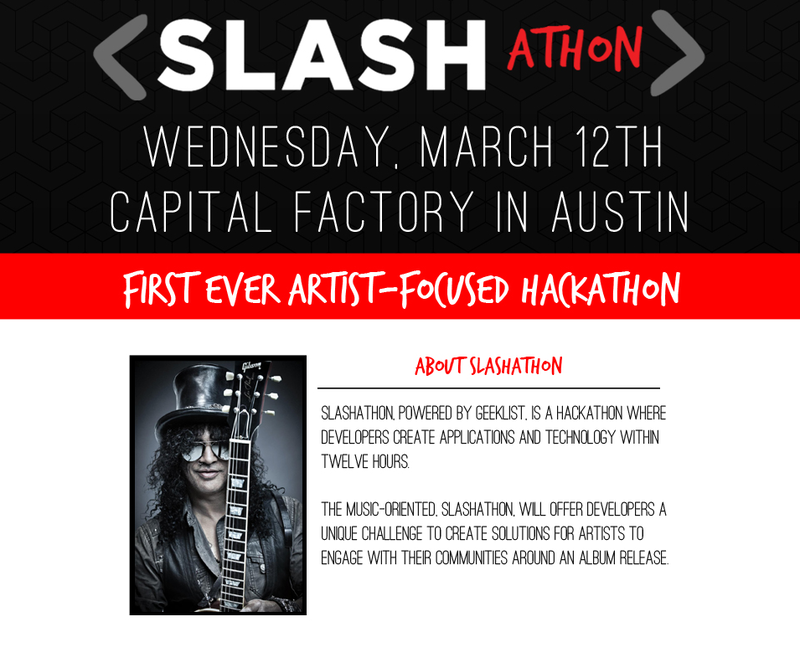 The SXSW Slashathon takes place at Capital Factory, and begins at 9 AM on March 12. Those who can’t make it in person can also Livestream the event.